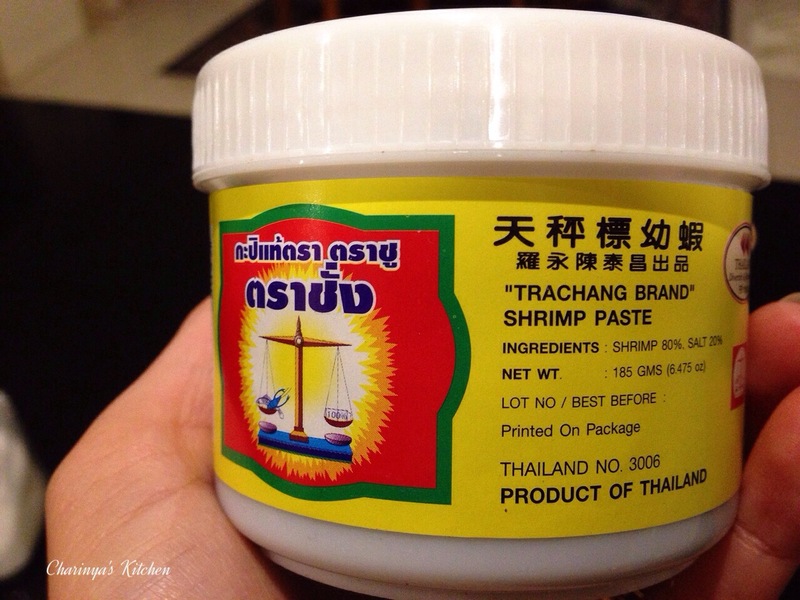 Shrimp paste is a common ingredient in Southeast Asia. For Thai cuisine we use it as an ingredient in chilli paste, and to make a chilli sauce called “Namh Prik Ka-Pi”. Today I will present you with a different dish named “Kow Pad Namh Prik Ka-Pi ข้าวผัดน้ำพริกกะปิ” which is fried rice with chilli shrimp paste. I think it similar to the Malaysian nasi goreng. • ~2 cups of cooked old rice the drier the better. Normally I use the rice cooked a day or two day before. 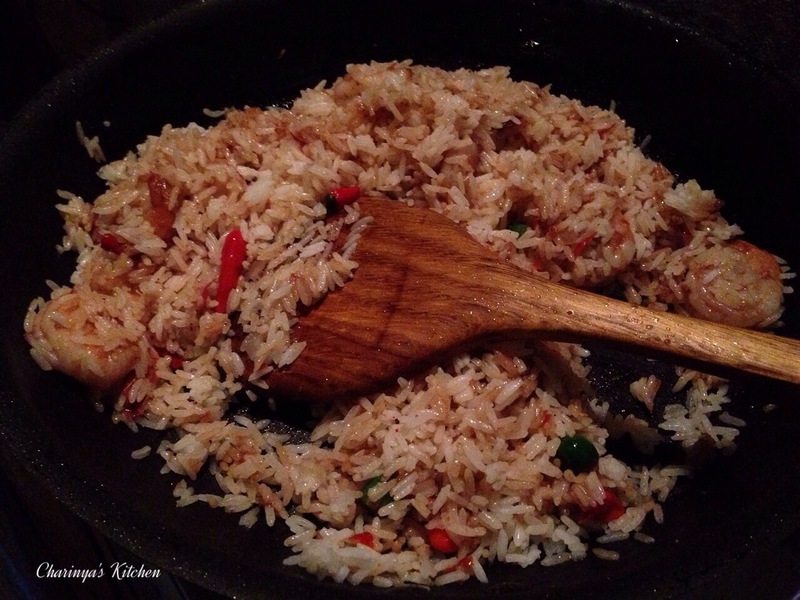 If you must use the rice cooked that day then just cook with less water or use long grain rice. • 12-15 peeled prawns or more if you love them. 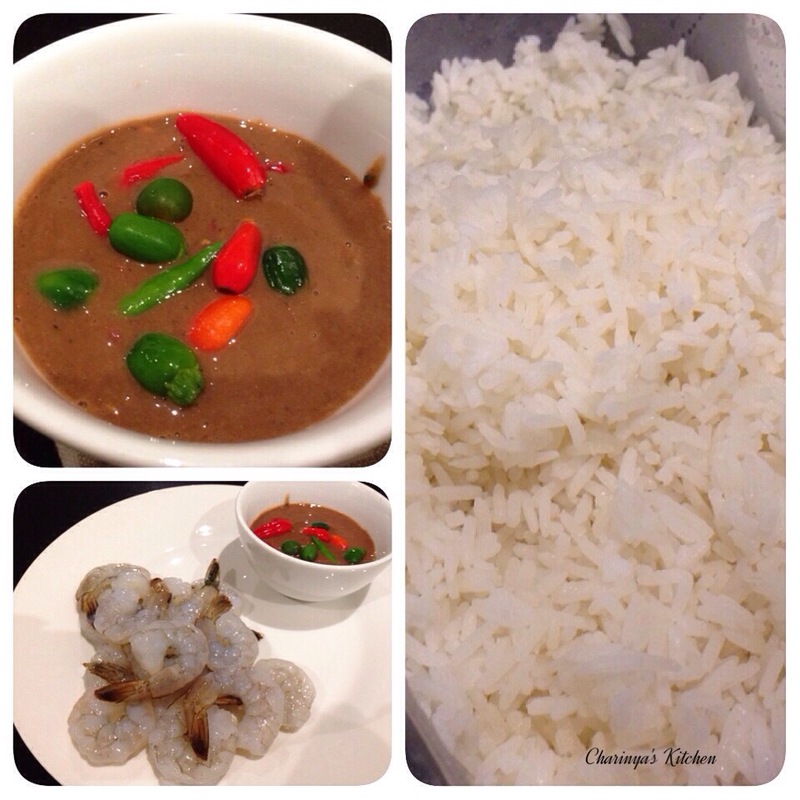 • chillies as desired, with half the chilli pounded with shrimp paste and the other half included whole. 1. 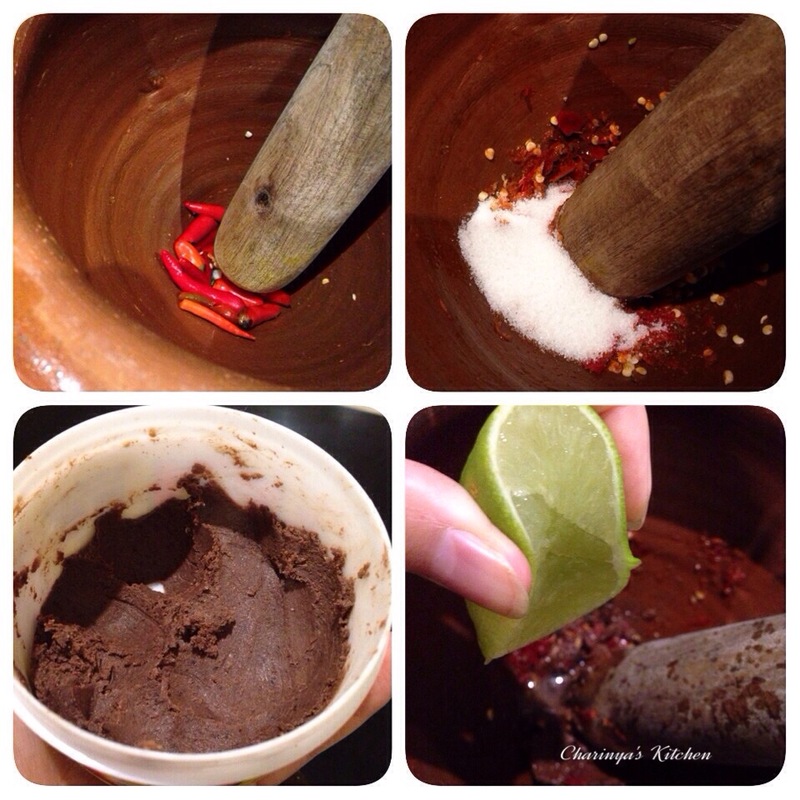 Make chilli shrimp paste by pounding half the chilli and garlic in the mortar and pestle. Add sugar then shrimp paste and pound to mix well. 2. Add 1/2 the lime juice and water. Have a taste. Normally the shrimp paste is already salty enough but you can add fish sauce if desired. 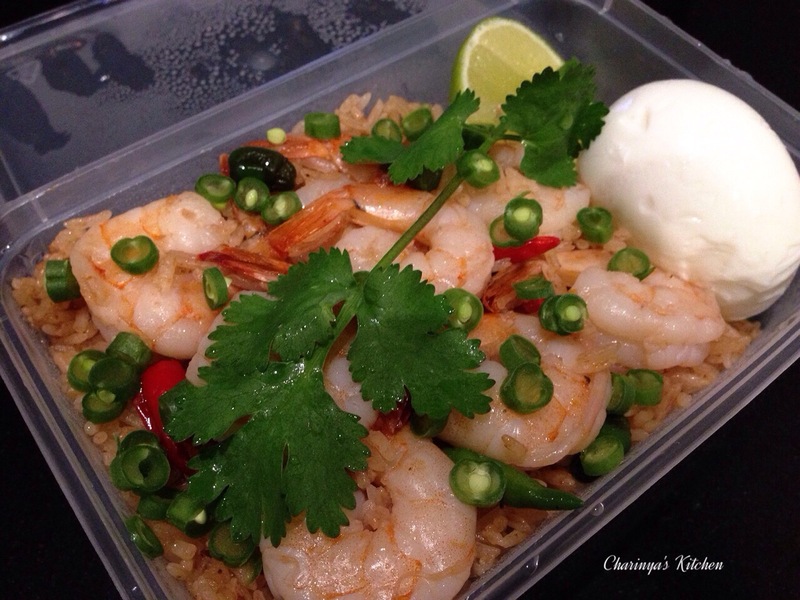 Add the whole chillies, and put the chilli shrimp paste in a small bowl to one side while you continue. 3. Wet your hand and prepare the rice by breaking it so it not lumpy. 4. Heat a wok or fry pan with oil on medium heat. Add prawns and half cook. 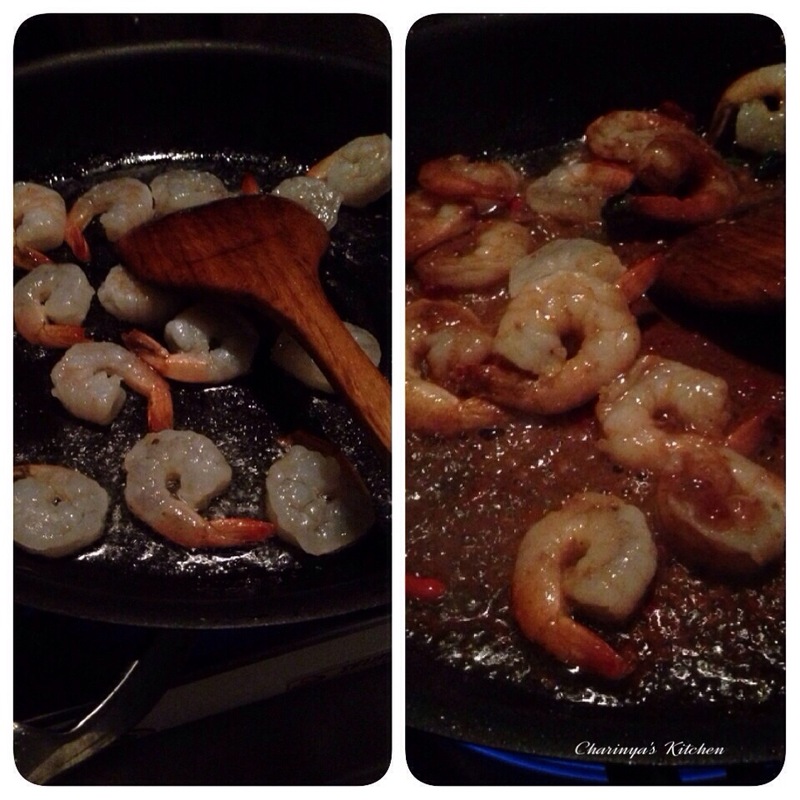 Add the chilli shrimp paste that you prepared before, stirring for 1-2 mins. I recommend you to cook outside as I did, so apologies for the dark photos. 5. Add rice and increase the heat to high. Stir quickly until if is mixed well and the prawns are cooked and the rice is hot. Optional is adding chopped green beans or diced carrots. Turn the heat off. 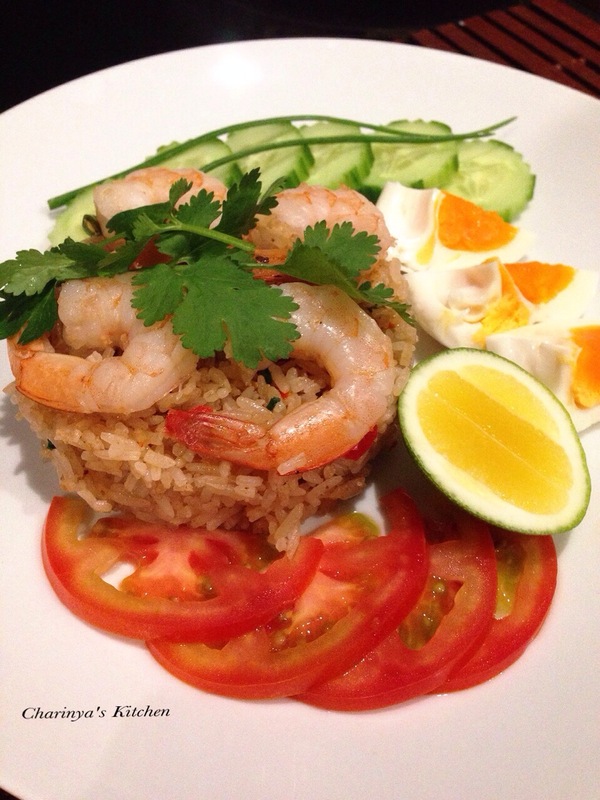 Serve fried rice with boiled eggs, a wedge of lime, sliced cucumber, sliced tomato and top with coriander. To eat squeeze a lime, drench the rice mix and enjoy. I packed it for my lunch as well.